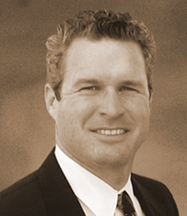 Peter Hopkins is a Level II Certified Thermographer and the Owner & President of InspecDoc Inspection Services, Inc. (www.inspecdoc.com), the parent company of SoCal Infrared (www.socalinfrared.com). Peter has been in the building inspection and evaluation business for over 12 years. Currently servicing most of Southern California as multi-inspector firm with several of the inspectors certified in thermography. Peter completed a certificate major in Construction Inspection with Academic Honors from Palomar College in Southern California. Peter was the recipient of a Scholarship from ICC (International Code Council, www.iccsafe.org) and currently holds five certifications as a Residential Combination Inspector, Building Inspector, Electrical Inspector, Mechanical Inspector and Plumbing Inspector. He is a Certified CREIA Inspector and a New Construction Specialist with The California Real Estate Inspection Association (www.creia.org) and has served in various volunteer leadership positions within organization. Peter has personally performed over 6000 Real Estate evaluations and over 1000 energy audits.